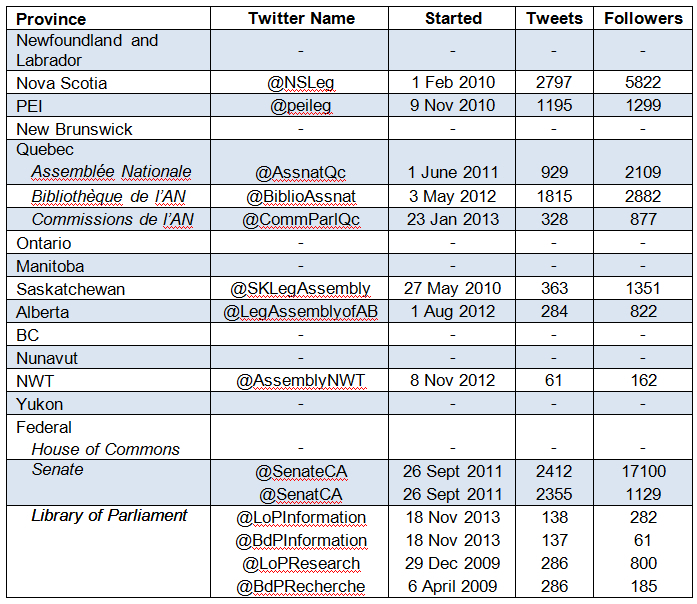 Updated: Which of Canada’s legislatures tweet? In recent years a great deal of attention has been paid to what Canada’s federal and provincial politicians say on twitter. But what about Canada’s legislatures themselves? Slowly but surely some of Canada’s federal and provincial legislatures have set up their own twitter accounts. However, the majority have yet to take the plunge, and there is tremendous variation among those that have in terms of the frequency of tweets, number of followers, and commitment to bilingualism. Twitter can be an important tool for legislatures, allowing them to express information in a way that is unaffected by partisan spin. However, it also presents a number of challenges. In a recent blog-post, British academic Cristina Leston-Bandeira explored how social media (Twitter and Facebook) are being used by legislatures world wide, and the challenges that they face in doing so. While noting that the Inter-Parliamentary Union has called for its members to expand their use social media, she also stresses that the spontaneous, personality-driven character of social media makes it hard for most legislatures to utilize. In particular, legislatures are procedurally-driven and represent a wide range of opinions, not a single voice. The operation of regularly updated social media feeds also requires a sustained investment of resources. Overall, she concludes that most legislatures use social media primarily as a broadcast tool for reporting on parliamentary activity. As can be seen in the table below (compiled on 24 March 2014), twitter coverage for Canada’s federal, provincial, and territorial legislatures is far from universal, with just under half operating an account. Most surprising is that while the Senate and Library of Parliament are both on twitter, the House of Commons has not yet followed their example. Similarly, two of Canada’s three largest provinces (Ontario and British Columbia) also lack a twitter presence. 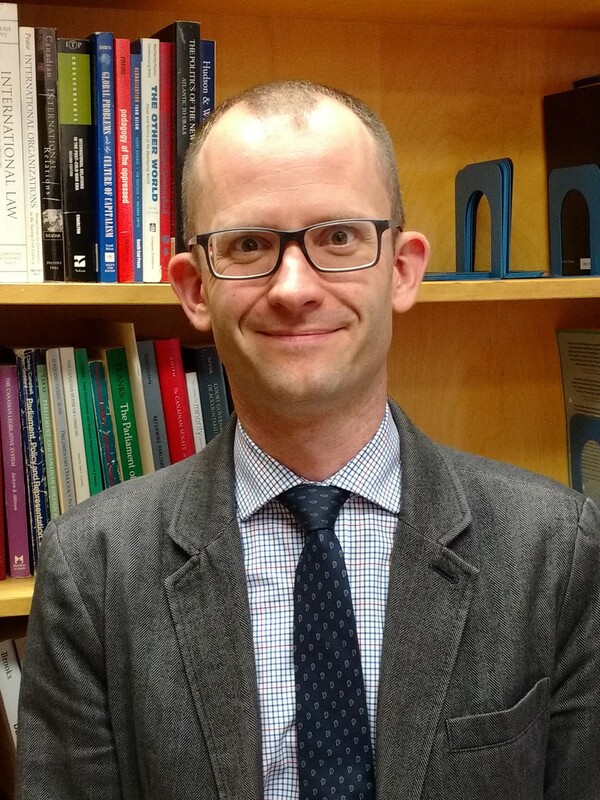 While I do not currently have the time or resources to subject these twitter accounts to the kind of content analysis undertaken by Dr. Leston-Bandeira, a brief non-systematic review of each account would appear to support her finding that they are primarily used for reporting on parliamentary activities. However, the table shows some sharp differences in the number of tweets and followers for each legislature – differences that cannot always be explained by the length of time the account has been active or the population of the province.